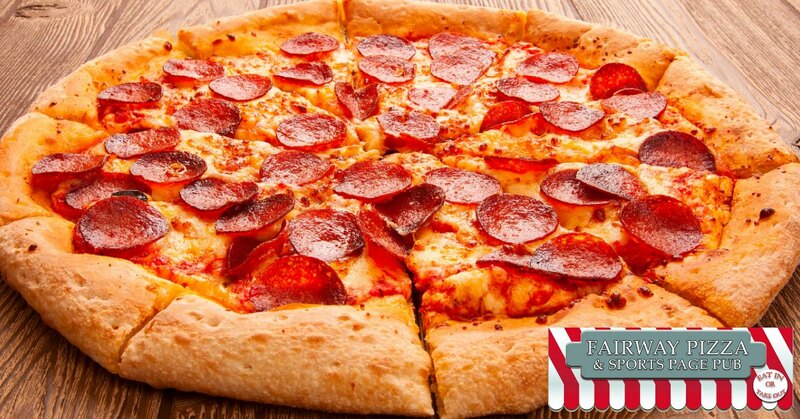 If you’re looking for Palm Harbor food takeout that is easy to pick up on the way home from work or hot and ready for you when you only have a few minutes to grab dinner for the kids, Fairway Pizza can help! Located at 2901 U.S. 19 Alt., Palm Harbor, FL 34683, you’ll find Fairway Pizza always has something delicious on the go but when you’re on the go, you don’t always have time to stop by and sit. Don’t worry, you’ll still get to enjoy the delicious smell of hot fresh pizza when you drop by to pick up your takeout order! Then, once you get home, you can fill your face with an assortment of our mouthwatering meals whether you choose pizza, subs, Philly cheese steak, or a salad! We know that life doesn’t always give you the time you need to take care of yourself let alone stop somewhere to eat in for dinner. That’s why we offer all of our hot fresh favorites to go! (Yes, we also offer our cold options for takeout too!) That way when you’re pressed for time and heading home from work you can call in an order, pick up dinner on the way home, and everyone gets a hot fresh dinner while you still get a few minutes to yourself instead of spending them doing meal prep! Are the kids going to soccer and you just don’t have time to cook tonight? Have to work late and won’t have time to cook? Forget fast food options and pick up a hearty Italian pasta dish to keep everyone happy instead! Just don’t feel like putting dinner together after a long day of work? Don’t sweat it, we have all of your favorite dinner options and more and the best part is that you can swing by and have dinner piping hot and waiting for you when you drop in to pick up! We know, life is busy and there are a million and one places that you can drop into to pick up dinner before you get home, but why not make it something hot, something fresh, something filling, and something made by hand? Take your pick from traditional pasta dishes, fresh pizza, hot sandwiches, salads, soup, chicken wings, and…well, plenty more! Take a look for yourself if you want to see everything we have to offer, we guarantee that you’ll find something that makes your mouth water! 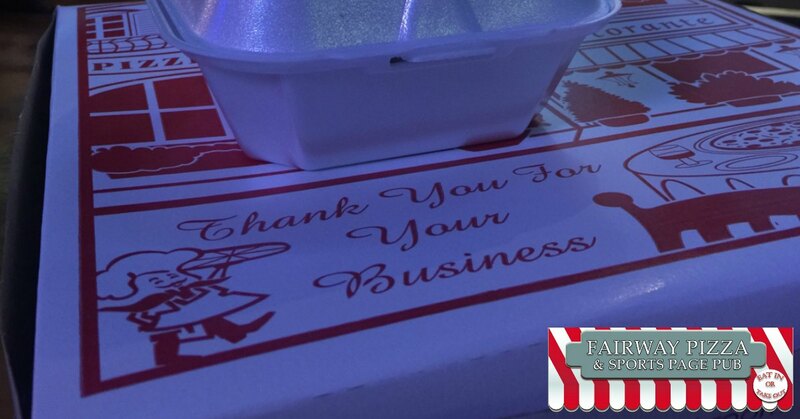 Ready to Call in Your Palm Harbor Food Takeout? If you’re ready to call in your takeout order at Fairway Pizza, just pick up the phone and give us a call! You can reach us at 727-772-7060 and we’re open Monday through Thursday from 11 am to midnight, Friday and Saturday from 11 am to 1 am, and Sunday from 11 am to 11 pm! Not sure what you want for dinner yet? Just give our menu a once-over and see what sounds good!